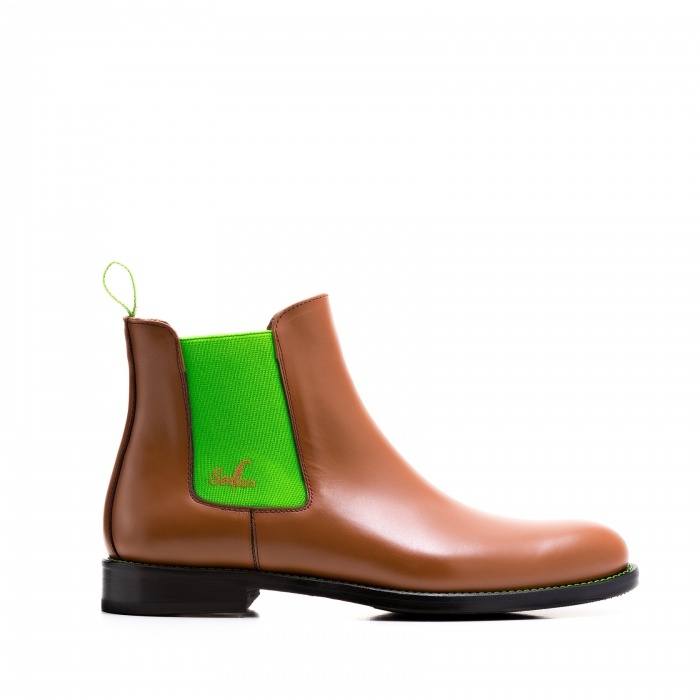 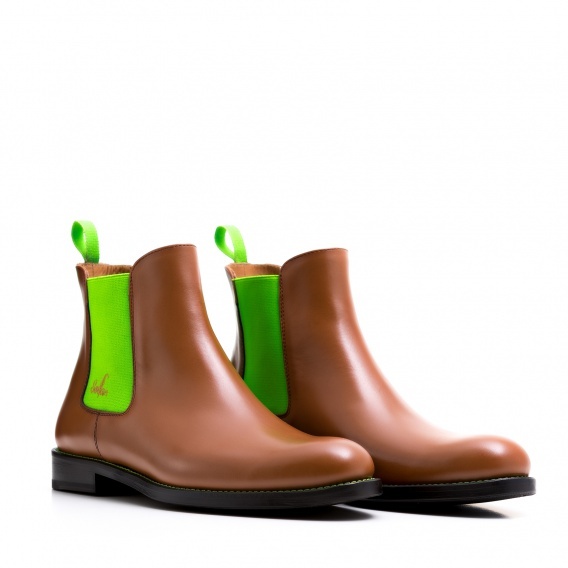 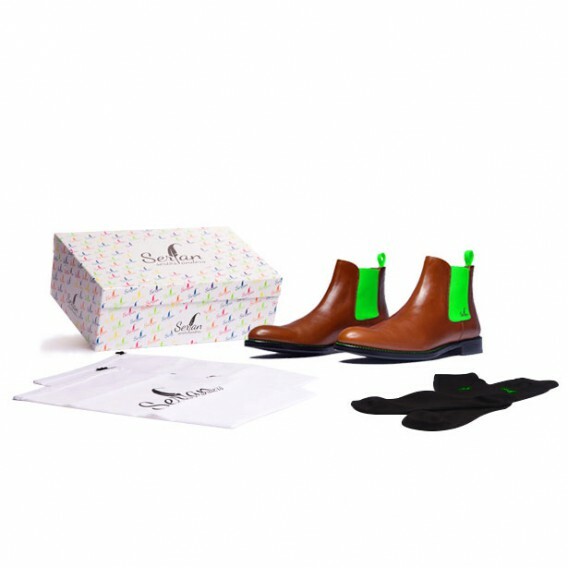 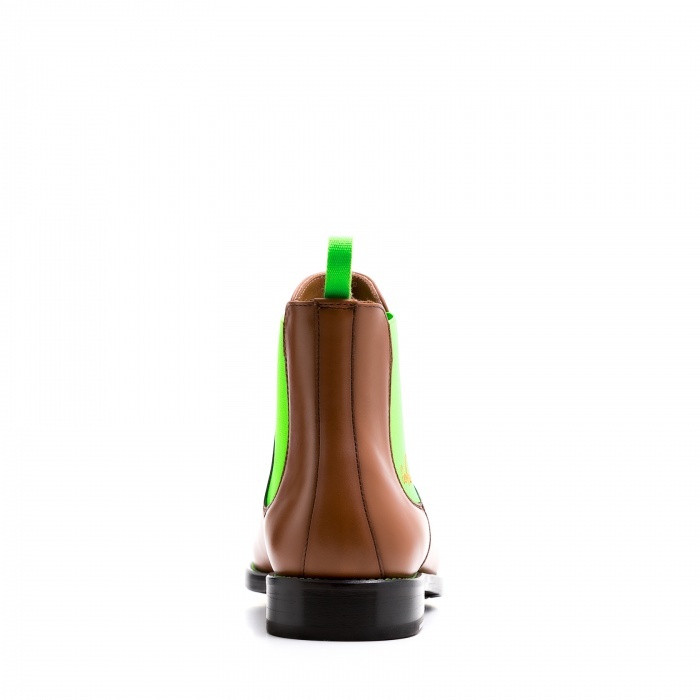 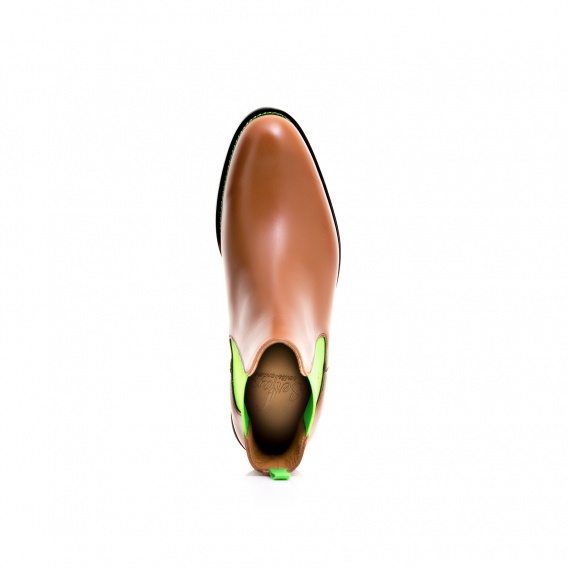 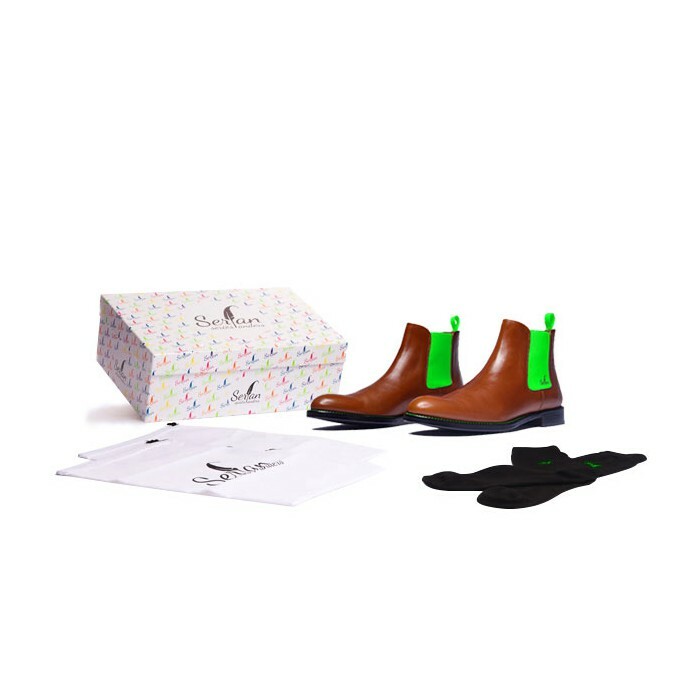 As green is the color of balance, our Chelsea Boot in cognac green will be in the centre of your outfit. 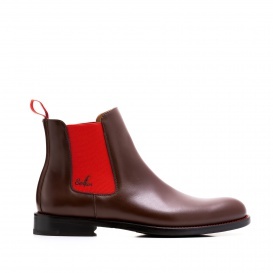 We recommend to wear a calm and straight outfit to this boot, since the shoe is already expressive enough. Wear a simple leggings and an oversized., cream-colored knitted pullover in combination to this boot. 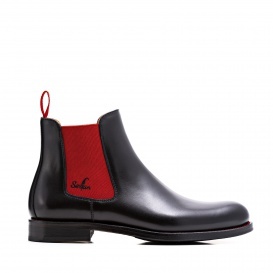 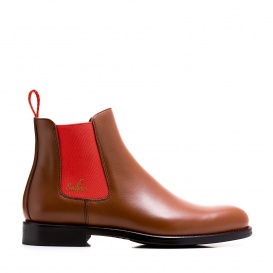 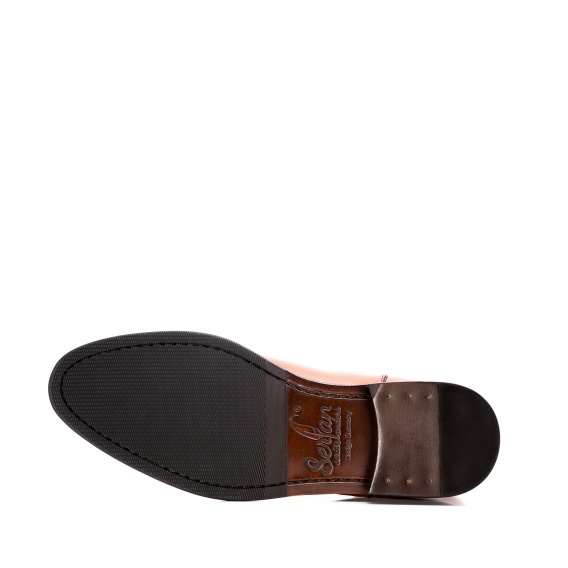 The elastic bands which are characterising the Chelsea Boot, providea huge wearing comfort and a perfect fit.